It was tragic sad news for all of us that Actor Paul Walker is no more!! He died in a car accident yesterday at the age of 40. He was in his Porsche car and His Friend was driving the car while he lost control and made with an accident. Paul Walker and His Friend died immediately on the spot of accident happened. Most of us know him for his awesome acting in the movie ‘Fast and Furious’. At the time of death he was working at Fast and Furious 7. You may already check our last post about Remembering Handsome Bearded Man Paul Walker with his best pictures clicked. Here are some interesting facts about Paul Walker that most of people don’t know. (1) Paul Walker was not so fond of seeing himself on Screen very much. So, he used to see his own movies, just once. (2) If you have seen the movie 2 Fast 2 Furious came in the year 2003; he owns the same car used in the movie! That is the Nissan Skyline R34. 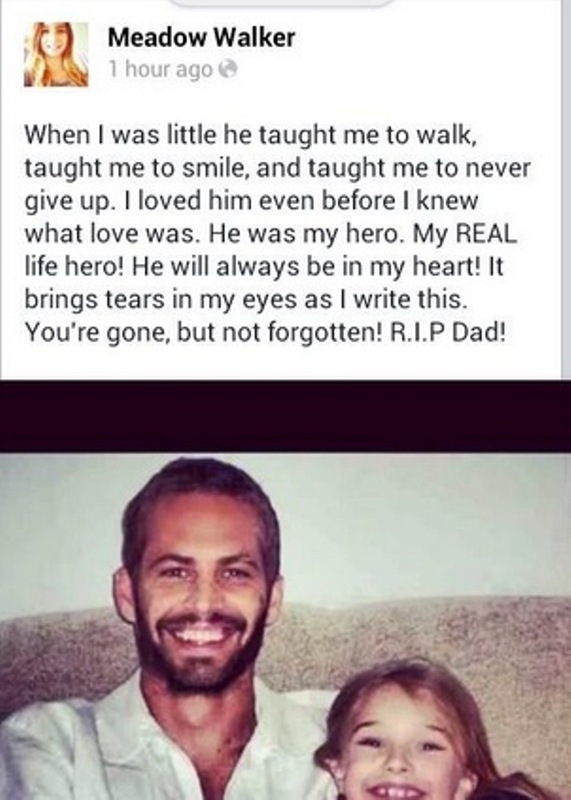 (4) He has a daughter named meadow, who lives with her Mom and Paul Walker’s ex-girlfriend. (5) Paul Walker did modeling before acting career. (6) Paul Walker was listed as one of the 50 Most Beautiful Persons in the World by People magazine in 2001. (7) Paul Walker used to call him “total gear head” because of his love for cars. And it is really Sad that His Love for Cars actually killed him !